Here in Samana we have plenty of activities such as diving amongst beautiful turtles, fishes, sponges, seahorses and more, Humpback whale watching, Quad bike tours, Exploring beautiful beaches such as Playa Rincon, La Boca Del Diablo, our beautiful waterfalls including El Salto Del Limon and its ice-cold river beneath the fall. Mind-blowing limestone formations, grottoes with petroglyphs and caves in Los Haitises National Park. You can kite surf in Portillo Beach, sail in a catamaran or simply sail in your boat in Las Terrenas Sailing Club. We want to show you some of the Las Terrenas local attractions for eco-tourism and eco-adventure, so here they are. A trip to Samaná is not complete without a visit to El Limón Waterfall. Watch the video to see why this excursion is a can't-miss adventure amidst the stunning surroundings of the Samaná peninsula. The waterfalls are mind blowing. There are about four access routes to the falls midway along the road between El Limon and La Colonial. Renting a horse with a local should cost no more than US$15 (RD$500 pesos) plus a US$1.25 (RD$50 pesos) park entry fee. You can also book the excursion with a tour operator or from Santi Rancho. Every year, thousands of humpback whales start their journey from the cold waters in the Northern Atlantic to the Caribbean. More than 20,000 of them visit the Bay of Samana each winter, so at any given time during the season, which takes January 1 to March 31 there many Humpback Whales in the Bay. Samana Zipline Excursion is an excellent activity to do with friends and family. It's an eco-tourism attraction for all ages that combines connecting with nature, flying into the forest, swimming in waterfalls rivers and having lunch at the great "El Valle" beach. The company running the zipline is called "Walk the Plank." Los Haitises National Park is famous for its limestone formations, caves, and grottoes filled with pictographs and petroglyphs left by indigenous Taíno civilization. 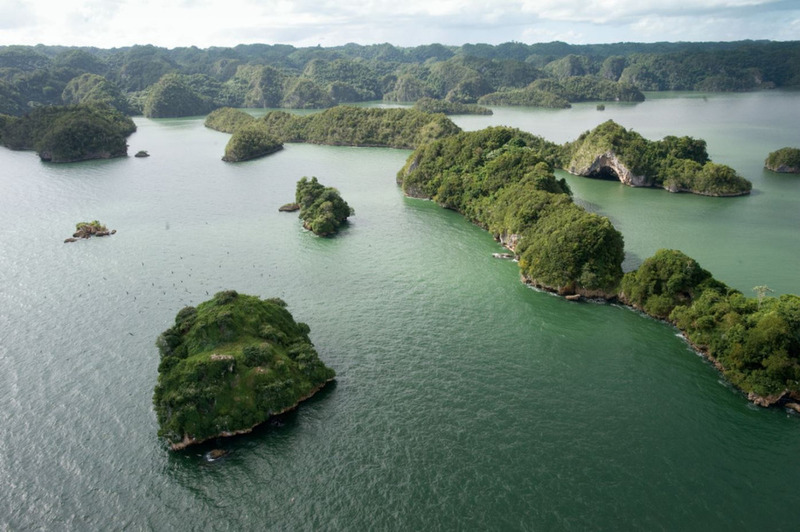 To get to the beautiful park you'll sail around dozens of dramatic rock islands and spectacular cliff faces. Any good tour will let you visit the many caverns. Sail on a catamaran and discover all that Samana has to offer. With dozens of beaches to visit; you won't repeat a beach for a full year. You can rent a catamaran and be the captain yourself. Or book a tour on one of the many companies offering group tours, or private tours: just for your family and friends. Aboard the catamaran you will be offered a selection of refreshments and snacks for your enjoyment. Moto Marina Tours offers other trips to Cayo Leventado, Los Haitises, Playa Rincon, and more. Arena Tours has a similar offering. Playa Rincón is considered one of the top beaches in the Caribbean. At the far right end is a sheltered area where you can snorkel. At the other end, cliffs tower over the turquoise water of an ice-cold river that runs down from the mountains and forms a splash pool. You can get to Playa Rincón by boat (from Las Galeras) or by car. Driving takes about 50 minutes from Las Terrenas. Boca del Diablo means "mouth of the devil." Finding it is a little adventure. Turn RIGHT off the Samana road just before the left turn that is signed for Playa Rincon. Boca Del Diablo is the biggest blowhole on Samana. If the sea is rough you will see spray, but some days you just feel the air gushing out. The dive sites around Las Terrenas offers a wide range of diverse and varied dives. Range of caves, canyon diving, shipwreck. And if the weather is not with us we also have a Cenotes 1h30 from Las Terrenas. We have less than 20 minutes by boat, 12 of the most beautiful dive sites throughout the north coast of the Dominican Republic. Turtle Dive Center is in El Paseo in Las Terrenas 829-903-0659 They offer lessons in diving and snorkeling. There are 12 dive sites within 20 minutes by boat. On a typical dive you might see sea fans, large Lion Fish, Fish Soldiers, Gireles and an occasional Barracuda or Moray Eel. Las Galeras is a small fishermen's village on the northeast coast of Samana. It is the perfect place for nature lovers. You can find a boat to take you to Playa Rincon. At the Grand Paradise Hotel you will find the tour boat to bring you to the Aquarium Natural Kaio 809-883-8836 where you snorkel to see all sorts of fishes and sea animals. The Dive Academy 829-577-5548 Las Galeras offers lessons and diving excursions. A favorite place to dine is El Cabito 829-697-9506 (Wich is perched on a sea cliff overlooking the bay with an amazing view and great food).